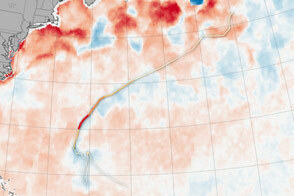 Hurricanes feed off of warm ocean surfaces, consuming the heat and dragging up cool water from below. 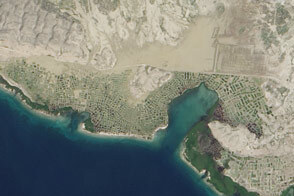 The scope of the destruction on the Caribbean island nation is so dramatic it can be seen from space. 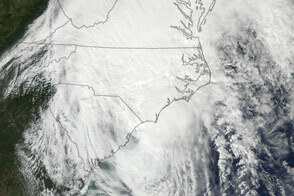 The storm has come and gone, but the effects linger due to exceptional rainfall. 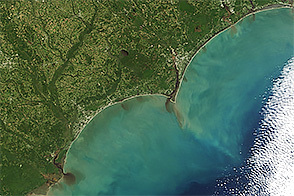 When the Terra satellite captured this image, floodwater was spilling into the Atlantic Ocean. 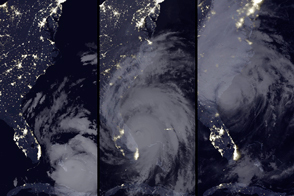 Hurricane Matthew knocked out power for more than one million customers as it grazed the coasts of Florida, Georgia, and South Carolina. The Aqua satellite captured this image of Matthew as the storm churned along the coast of South Carolina. 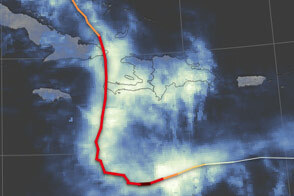 Satellites observed more than 800 millimeters (30 inches) of rain falling in parts of Haiti. Hurricane Matthew closed in on the Atlantic coast after devastating Haiti earlier this week. 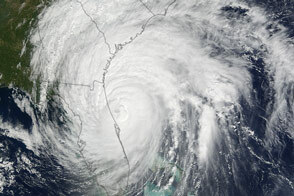 The storm’s western eyewall brushed parts of Florida. 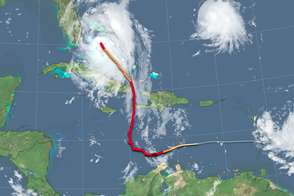 Hurricane Matthew strengthened as it approached the east coast of Florida. 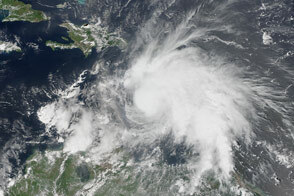 At the time of landfall on October 4, 2016, Hurricane Matthew became the strongest storm to hit Haiti in more than 50 years. 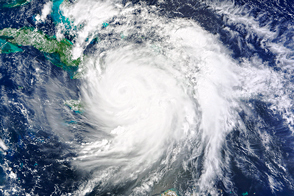 Tropical Storm Matthew gained strength and reached hurricane status on September 29, 2016.